Clothes represent who we are or want to be. Bergdorf Goodman’s legendary personal shopper, Betty Halbreich, at age 86, tells us her story in the delightful, complex and engaging memoir: I’ll Drink to That: a Life In Style, with a Twist. Clothes take center stage here but it’s not a laundry list of designers or “how-to-s”. Instead Betty weaves her life story with its connection to clothes, style and design. Betty describes her career at Bergdorf Goodman that spans more than four decades and includes her creating what the position would be, setting boundaries, explaining how she works, and telling us about her clients. Her career, and her life, is a story of determination and self-actualization. Betty bears all including her lonely childhood where her mother’s closet full of clothes were her first playmates, her difficult marriage and in-laws, her nervous breakdown, and her triumphant and glamourous career. Betty both loses and finds herself in clothes, and perhaps don’t we all? Funny, witty, and engrossing, this book is much more than you might think. I enjoyed this book thoroughly and, just like all her clients, was sad to see my time with Betty end when I finished the last page. Ann Marie is the Library Director for the Oliver Wolcott Library. One of Publishers Weekly’s Top 10 Reads for the summer, The Other Typist by Suzanne Rindell is a page-turner that I anxiously anticipated getting back to every night! The Other Typist is an absorbing, psychological drama set in 1920’s New York. Rose, the narrator, is a police stenographer who becomes dazzled by and obsessed with the newly-hired, other typist, Odalie. Rose is swept away by Odalie’s charm, life and life-style. But there are secrets lurking, this haunting obsession, and how reliable is our narrator Rose? As Kirkus Review wrote in their starred review, “Take a dollop of Alfred Hitchcock, a dollop of Patricia Highsmith, throw in some Great Gatsby and the result is Rindell’s debut… A deliciously addictive, cinematically influenced page-turner, both comic and provocative”. Don’t miss this great book, soon to be a movie starring Keira Knightley! Ann Marie is the Library Director at the Oliver Wolcott Library. Brilliant! Blending a true unsolved mystery with fiction, author Ariel Lawhon creates an unforgettable story with a satisfying and brilliant ending. In The Wife, the Maid and the Mistress, Lawhon sets out to imagine the truth behind the real-life disappearance of New York Supreme Court Judge Joseph Crater on August 6, 1930. As Booklist writes, “In this tale of Jazz Age New York, Lawhon walks one of fiction’s trickiest tightropes, creating a novel that is both genuinely moving and full of pulpy fun. It’s 1930, and a corrupt judge has gone missing. Newly promoted police officer Jude Simon is assigned the case and hunts among the speakeasies, Broadway theaters, and wealthy apartments of New York, only to be blocked at every turn. He’s stymied in particular by the three women in the judge’s life: his jaded wife; his sly mistress; and worst of all, his frightened maid, who happens to be Simon’s wife. The women’s stories throw a harsh light on New York in the 1930s, when gangsters ruled the city and women were pawns in their games….It’s a great story, told with verve and feeling”. The summer is a special time often filled with adventure, discovery, romance and new possibilities. This is particularly true during our youth when summers represent total freedom from school work and the opportunity for special summer jobs or internships. For Marjorie Hart, the summer of 1945 represented a momentous time in her life when, against the dramatic backdrop of the last few months of WWII, she departed Iowa to live and work in New York City for the summer with her best friend, Marty. Summer of Tiffany by Marjorie Hart is her story of this extraordinary summer. Their sorority sisters at Iowa State University convinced them that it would be a cinch to land a job at Lord and Taylor, and so with the boldness of youth, they boarded a bus with only some pocket change, a few dresses, and a small summer apartment secured. To their surprise, they discovered that there were no jobs available at Lord and Taylor or at many other fashionable retailers. As often in life what seemed to be a bitter blow turned into great fortune when they were hired for a summer job at Tiffany & Co. To make the tale even sweeter, Marjorie and Marty have the honor of being the first women pages ever to be employed at Tiffany. With insight and thoughtfulness, Marjorie brings Manhattan in 1945 to life from the whimsy of ice cream for lunch to the seriousness of war rations and a plane flying into the Empire State Building. “Infectious vivacity” and “madcap immediacy” are superb descriptions of this special book. Summer of Tiffany is an absolute delight! I hope you will add it to your summer reading list! In Manhattan ’45, noted travel writer Jan Morris takes us on a trip to the Manhattan of 1945. The Queen Mary docked in New York City on June 20, 1945, with the first major contingent of troops returning from Europe. With Morris as our guide, we celebrate Manhattan in all its glory. With vivid details and stories, we tour Manhattan in the dawn of a new age, exploring all facets from entertainment, culture, business, and politics. The friendship between Cathy Timberlake (played by Doris Day) and her roommate Connie (played by Audrey Meadows) in That Touch of Mink, a romantic comedy from 1962 that also stars Cary Grant, reminds me of the friendship between Marjorie and Marty. The dialogue between Day and Meadows are some of my favorite parts in this film. How to Marry a Millionare is another film about female friendships. Like Majorie and Marty, the women in How to Marry a Millionaire rent an apartment in New York City and are working girls with glamorous jobs (models). Lauren Bacall, Marilyn Monroe and Betty Grable star as three roommates who rent an up-scale apartment with the plan of marrying a millionaire. Ultimately, love gets in the way of their carefully devised plan. This is one of my favorite comedies of all time! Where the Boys Are from 1960 is a difficult movie to categorize. At first glance this film is about college girls and boys looking for fun and romance during their summer break, yet it is much more than a simple comedy. While it has its whimsical and funny moments, along with budding romances and all the fun-loving hilarity of college summer break, it also includes a disturbing and poignant characterization of a young woman who finds herself with the wrong kind of men. Continue to celebrate Tiffany & Co. with a trio about Breakfast at Tiffany’s. Breakfast at Tiffany’s by Truman Capote takes place in the autumn of 1943 in New York City. Holly Golightly is a café society girl of about nineteen who ran away from the country and moved to New York. She has no job but lives by socializing with wealthy men. She befriends a fellow tenant that she calls Fred. He is fascinated by her life and slowly she begins to reveal herself to him. The film version of Breakfast at Tiffany’s released in 1961 brings the setting to early 1960s New York and adds a more light-hearted element to the story. This is a timeless, romantic comedy starring Audrey Hepburn as Holly Golightly and George Peppard as the writer-tenant. Fifth Avenue, 5 A.M. by Sam Wasson explores the making of Breakfast at Tiffany’s. From the feuds and conflicts on set to Hepburn’s impact on fashion, glamour, and sexual politics; Wasson reveals it all in this page-turning work. With witty storylines, believable dialogue, unique characters, and a detective that broke all the clichés, The Rockford Files is a superb series that never disappoints. Every episode, along with all of the movies, stays true to the characters and the intelligence of the viewer. The Rockford Files won five Emmys, including Best Actor (James Garner) and Best Dramatic Series. It is one of my favorite series of all time. Private detective Jim Rockford, played by James Garner, lives in a ratty-looking trailer and often has bill collectors calling. In recent decades it seems that any character living modestly is usually depicted as a stupid, vulgar buffoon: not James Rockford. He has integrity, good manners and good values. He’s intelligent and introspective, and while he likes money, it doesn’t rule his life. He keeps his gun in a cookie jar and has no hesitation about quitting a job when it gets rough. Yet, he also has a soft heart for people in trouble and is steadfastly loyal to his friends. This is a detective series that is about the detecting. It is con games, twisting plots, and psychological interplays. This is not a procedural or murder-based discovery. There are many episodes where no murder takes place. It is simply outstanding writing and superb acting with a great cast of regular and recurring characters and special guests like Tom Selleck, Isaac Hayes, Stefanie Powers, Linda Evans, Suzanne Somers, and Joan Van Ark. The series had six seasons running from 1974 to 1980, and then several movies in the 1990s. Here’s a walk through some of my favorite episodes, although I must pause to say again that every episode is outstanding! Find Me If You Can features guest star Joan Van Ark. In this episode, Barbara Kelbaker, played by Van Ark, hires Rockford to find her. She refuses to give her real name or explain why she is hiring him for this strange request. In Pursuit of Carol Thorne, elderly parents of Cliff Hoad hire Rockford to tail Carole Thorne, a recently paroled convict who was once Cliff’s girlfriend. Rockford soon learns that Cliff was involved with others in a $1.2 million robbery. In Aura Lee, Farewell, Lindsay Wagner plays Sara Butler, the owner of a chic boutique. Sara hires Rockford to prove that her friend and employee, Aura Lee did not commit suicide but was murdered. A high-profile state senator, blackmail, a fatal hit and run accident, and a drug pusher all contribute to mixing up the plot. The Aaron Ironwood School of Success , Aaron Ironwood returns for a visit. While he appears to be a symbol of amazing success and wealth, appearances are deceiving. After Rockford agrees to take control of Aaron’s business temporarily, he finds that he is now entangled with the mob and federal agents who both want Aaron. Stefanie Powers guest stars in The Real Easy Red Dog. Powers plays a detective who cons Rockford into being a decoy so she can complete a different case that she is working on. To do this, she takes the first story she sees in the paper (a suicide by a rich woman), and makes up a phony story about not believing that her rich sister committed suicide. The trouble is that after Rockford takes the bait, he discovers that perhaps the suicide really was a murder. Rockford’s friend, stewardess Lori Jenevein becomes the target of a hit man in The Fourth Man when she innocently remembers that he has taken several of her flights. But, how does Rockford protect himself and Lori while also finding the evidence to prove that the respectable coin collector leads a double life of contract killing? In Sticks and Stones May Break Your Bones, but Waterbury Will Bury You, one of the largest detective agencies in the world, Waterbury Security Systems, removes the competition by all means necessary. When Rockford’s private eye friends are found either dead or having their licenses revoked, they all join forces to try to uncover what is happening and how to stop it. In Beamer’s Last Case, Rockford’s mechanic Freddie Beamer dreams of being a detective and when he realizes Rockford is on vacation decides to assume his identity and start solving cases. When Jim returns he finds thousands of dollars of invoiced “detecting” items, promises made by Beamer pretending to be Rockford, and other messes that threaten them both. Quickie Nirvana is a brilliant mix of humor, drama and social satire. Rockford befriends flaky, perpetual soul-searcher Sky Aquarian. Sky fails to deliver a package, and soon finds herself in trouble. She didn’t realize the package contained $30,000 in hush money. When Rockford tries to help her and return the money, they discover it has been stolen. The House on Willis Avenue is a two-part episode where the young private investigator Richie Brockelman enlists the help of Rockford to find out the circumstances surrounding the accidental death of their mentor. As Richie and Jim investigate, they uncover a connection with a national computer network capable of providing access to personal information on over 250 million Americans. Before there was Magnum P.I., there was Lance White. Tom Selleck plays the perfect private investigator, and I do mean perfect. Lance White cannot do anything wrong. While things often turn out badly for Jim Rockford, Lance White walks on water. The women love him, the police love him, his ethics are impeccable, and no matter what he does, things always seem to “work out”. Rockford and White are perfect opposites who brilliantly play off each other in two essential episodes, White on White and Nearly Perfect, and Nice Guys Finish Dead (which also features the return of our friend Beamer). Lions, Tigers, Monkeys and Dogs is another two-part episode and features one of my favorite actresses of all time, Lauren Bacall. Bacall is unforgettable as Kendall Warren, a close friend of elegant Princess Irene and someone who knows how to live richly without having much money of her own. The two make a great team as they unravel who is trying to hurt Kendall and why. Tonight, grab an Oreo (Rockford’s favorite cookie) and enjoy the witty plots and superb performances of The Rockford Files. And, after you’ve watched some Rockford, pick up James Garner’s superb autobiography, The Garner Files. A book that I highly recommend! To learn more about James Garner, read by blog entitled The Garner Files posted back in July of 2012. Birding is a wonderful hobby that can be enjoyed year-round. In your own backyard, a beginning birder can easily find much to enjoy. Birds offer the beginning enthusiast with so many opportunities no matter your location. As your birding skills advance, you may begin actively seeking hikes and other adventures in places near and far to further your knowledge and sightings. I still consider myself a beginning amateur birder; mine is a casual, ongoing interest. At home, my husband, Harry, and I enjoy a number of birds that visit us seasonally, and a few that we see all year. Spring through early fall is the most active times for our little yard with the arrival of many of our favorites including: the Black and White Warbler, Wood Thrush, Veery, Ruby-Throated Hummingbird, and American Robin. As the cold weather approaches, we soon see Slate Colored Juncos, commonly referred to as Snow Birds. Throughout the year, we delight in catching glimpses of Raven, Rose-breasted Grosbeak, Screech Owl, Great Horned Owl, Blue Heron, and Pileated Woodpecker. Harry and I once witnessed a Sharp-shinned Hawk, the smallest of our accipiters, and considered rare in Connecticut, swoop down with startling speed, agility and forcefulness and rapidly kill a Mourning Dove. We were at once amazed by the stealth of this incredible predator and excitement at spotting this rare bird, while also feeling sadness and horror at the sudden death of the Mourning Dove who visited our yard each day with its mate. Even “common” birds like pigeons and crows are, in fact, quite extraordinary! I hope you will take a moment today to enjoy the amazing beauty and unique talents of our feathered friends. An excellent way to start birding or advance your study is to browse our collection. Peterson Field Guide to Birds of Eastern and Central North America: While there are other guides, I find this to be the most helpful and the one I always turn to for identification. With maps, illustrations and identification points, the Peterson Field Guide helps all of us accurately identify birds. Birding by Ear and More Birding By Ear, both in the Peterson Field Guide Series, are absolute essentials for expanding your birding knowledge. These two audio CD collections are perfect companions to the guide book. Once I started to learn bird songs and calls, I realized how many more birds I hear that I do not see! A fantastic guide! Connecticut Birding Guide by Buzz Devine and Dwight Smith give the Connecticut birder everything they need to have an adventure. In every part of the state, they list where to go and what you can hope to see accompanied by a map, directions and trail information. There is also an excellent overview of birding including seasonal opportunities, general precautions, birding ethics and various birding habitats. The Atlas of Breeding Birds of Connecticut edited by Louis R. Bevier is a superb book. Every bird that may be found in Connecticut is listed along with information on its status; where in the state it has been confirmed, probable or possible; and a brief overview of its habitat and discussion about the bird. Crows: Encounters with the Wise Guys by Candace Savage will open your eyes to the intelligence of crows. Far from the dark creatures of the woods, they are instead birds that like to stay close to their family (rare in the bird world) and show an incredible intelligence and ingenuity. After reading it, I had even greater admiration for the wise guys of the woods. Pigeons: the Fascinating Saga of the World’s Most Revered and Reviled Bird by Andrew D. Blechman will make you see pigeons in a whole new way. How many of us realize the important role pigeons have played in warfare? Before phones, pigeons provided the fastest and safest way to get a message to someone on the battlefield. This is an utterly fascinating and quirky book. You won’t regret giving it a chance. Living on the Wind: Across the Hemisphere with Migratory Birds by Scott Weidensaul takes you on the migratory journey of birds. Weidensaul tells not only the science of migration but also the story of it. He awakens the reader to the urgency to conserve and protect the migratory lands of birds, and accomplishes all of this with great literary style. A Guide to Bird Behavior by Donald and Lillian Stokes is composed of three volumes. Each volume considers 25 birds and it is a wonderful way to enhance your birding. It helps you take identification to the next step by giving you information about the bird’s behavior including courtship and mating, territory, visual and auditory display guides, nesting, and gender differences. It’s the time of year that we begin planning and attending more parties and social gatherings.Often people let the worry of entertaining prevent them from having social gathering. Twitter, Facebook, e-mail, cell phones… do they alone help us feel closer to each other or do they add clutter to our lives? Perhaps, as we all access these innovative ways to communicate and enhance our lives, we’ll crave even more those special face-to-face gatherings that parties provide. This is the perfect time of year to enhance your party giving skills and remind ourselves how to be a good guest. To learn the ins and outs of putting on a great party, my first step was checking out OWL’s collection to get advice and ideas. Let’s get entertaining! Kimberly Kennedy in her book, The Art and Craft of Entertaining, reminds us that parties are “about pleasure not perfection”. She advises the party-planner to not worry about being perfect or having a spotless house or the perfect decor. The point is for everyone to have a wonderful time enjoying each others’ company and in creating a memorable evening. As a hostess, she tells us to relax, have fun, and always be gracious. In her book, she provides a plethora of excellent advice and tips for entertaining. She first considers style by noting that, “Style is about expression, not imitation, and it’s not the same as fashion”. Once we have a sense of our style, this will guide us in how we develop our party plan. She recommends keeping a party planning journal where you jot down ideas over time and then use it when it’s party planning time. Kennedy’s book is full of excellent tips and ideas from planning lists, seasonal flower choices, party favors to designing your own invitations. An excellent guide! In The Reluctant Entertainer: Every Woman’s Guide to Simple and Gracious Hospitality author Sandy Coughlin simplifies entertaining and encourages embracing the blessings of getting together with friends and family. She shares conversation tips, ideas on how to make planning and execution easier, and how to get over the need for perfection. This is a great guide for anyone new to entertaining or needs a party renewal. In The Party Planner, David Tutera provides especially helpful information on the atmosphere of the event. Tutera gives several examples of different parties including cocktail, formal dinner, outdoor, and holiday parties. For each selection, he divides party planning into five sections: the look, the scent, the touch, the taste, and the sound. He then ends each selection with a few additional helpful hints and tips. Tutera’s book expertly guides you to elegant entertaining and decor at its best. Another excellent guide is Emily Post’s Great Get-Togethers: Casual Gatherings and Elegant Parties at Home by Anna Post and Lizzie Post. This is an absolutely terrific and essential guide. It is full of information including how to properly address people, decoding dress codes, extra to add in your invitation, fun and game ideas, how to manage your schedule, sample menus and plans, shopping tips, and so much more! After you read this book, you’ll be looking for ways to have parties! If decorating the house and crafting special invitations sounds too daunting for you, don’t despair! Check out Block Parties and Poker Nights by Peggy Allen. Allen gives tips, lots of simple recipes, and excellent ideas for block parties, welcome gifts, poker and other game nights, and more. All of her advice is casual with little fuss. No decorating or special invitations required! Two more great choices for “effortless entertaining” is Seriously Simple Parties by Diane Rossen Worthington. 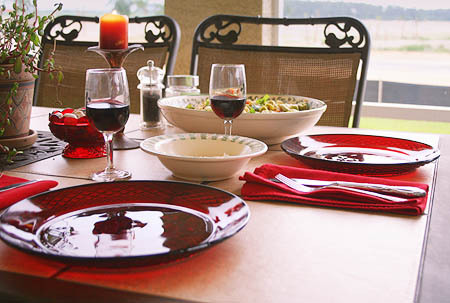 Worthington provides recipes, menus and advice on to make your parties and holidays shine without the stress and fuss. Whether the party is intimate or for a crowd, Worthington will guide you with her tips, advice and simple yet beautifully presented meals. At Home with Michael Chiarello is predominately a cookbook but there are a couple pages of quick tips for entertaining at the end of the book. Chiarello advises us on our dining area, kitchen needs and equipment, cleaning tips and solutions, recipe scaling, and wine basics. His advice on scaling recipes for larger or smaller crowds is especially helpful. Happy Hour at Home: Libations and Small Plates for Easy Get-Togethers by Barbara Scott-Goodman brings the joy of happy hour to your home. Her book won’t help with planning but it does provide a great sampling of delicious little treats from simple, like a herbed bar nut mix, to more complicated, like onion and gruyere tart and Korean short rib tacos. Each recipe section concludes with suggested cocktails. Dazzle your guests with your table setting. East Meets West Table Setting by Kuwako Takahashi is an enchanting book that offers both elaborate as well as simple ideas for setting your table with style and beauty. Takahashi says that setting the table is “like choosing a dress for my food… it is a visual treat that embraces the guest the minute they enter the room”. Even if you don’t replicate her exact pairings, I felt Takahashi provided many beautiful and delightful concepts and ideas. The decorations were often simple household items that Takahashi made elegant and appealing like using autumn leaves or setting a table for two by the fireplace. Gorgeously illustrated, I hope you have as much fun looking at and being inspired by this book as I did. Tablescapes: Setting the Table with Style by Kimberly Schlegel Whitman is a book for sophisticated dining. If you are an experienced party-planner and the idea of decorating for a dinner party of 100 sounds fun (rather than something that seems completely unimaginable) then this book is for you. This is essentially haute couture table setting! Not for the beginner. If you’re ready to take entertaining to the next level, then check out A Guide to Napkin Folding by James Giner. Giner presents with clear instructions, graphs and photographs forty different napkin designs! 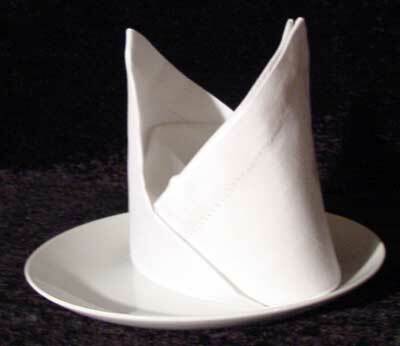 Who would have imagined that there was forty different ways to fold a napkin? I’m not sure I’m ready for this but there was a fascinating history of napkin folding. Apparently napkin folding dates back to the 15th century! 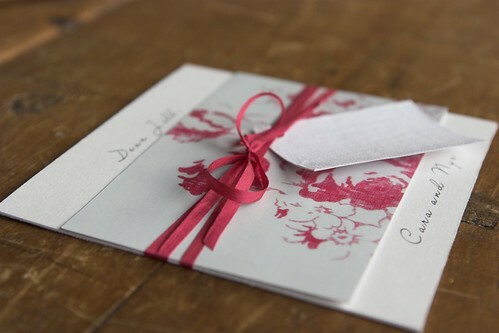 For the person with creative skills, sending hand-made cards makes your party invitations particularly unique. For help with ideas for card-making, check out Artful Cards: 60 Fresh and Fabulous Designs by Katherine Duncan Aimone or Ultimate Cardmaking by Sarah Beaman. On the flip side, if you are a guest to a dinner party, a hand-made thank you note would be a thoughtful touch. …and if you’re not sure about the menu, don’t forget that OWL has a marvelous collection of cookbooks including books specifically about party drinks, desserts, vegetarian, and more found in the 641’s. This holiday season, let the anxiety go and embrace the party season! Ann Marie is the Library Director of the Oliver Wolcott Library. A couple months ago, I decided that I wanted to read The Thin Man. Years ago, I had seen the film and loved it. After finishing the book, I was captivated by Dashiell Hammett’s writing style, characterization, and his penetrating use of story. This was not a “boiler-plate” detective story but a series of intense characterizations with zigzagging plots, and powerful emotional and even ethical decisions. And thus began my several-month journey of reading “everything Hammett”. Although Hollywood would make a total of six Thin Man films, there was only one novel about Nick and Nora Charles that was written by Hammett. In that work, the husband and wife team reluctantly become involved in unraveling the whereabouts of a missing man. The novel includes many gritty details omitted from the film. The book must be read but don’t miss the films either. 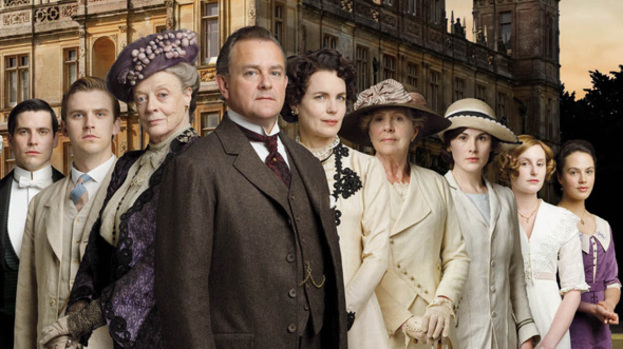 They are delightful and while the first is the best, all in the series are engaging and fun to watch. Next, I chose The Maltese Falcon. Again, although I was familiar with the film, the book made a stronger impression. I don’t want to spoil the plot, but Hammett’s writing brilliantly reveals how Sam Spade realizes the identity of the murderer. That element alone, I feel, captures the innovation and realism of Hammett’s writing. It is not some obscure poison or cliche literary clue, but a brilliant eye for the small detail that reveals so much that Hammett, through Spade, employs to firmly convince the reader of the suspect’s guilt. The National Endowment for the Arts published an excellent audio guide, written and produced by Dan Stone, on The Maltese Falcon. I thoroughly enjoyed listening to this guide and recommend it. On to Red Harvest, a political corruption novel tour de force with its own twisting tales, and a story that certainly confirms the idea that politics have always been the same. Don’t miss this one! The Dain Curse is often given a less favorable review and since I can barely remember it (even though I only read it a few weeks ago), I’ll have to agree. The Glass Key was said to be one of Hammett’s favorites and I can understand why. It is an intense emotional journey with a surprising ending that I won’t spoil for you. And then let us not forget his short stories. Between 1923 and 1927, Hammett published thirty-two short stories in Black Mask. My favorite short story was “Zigzags of Treachery” with its brilliant plot that stays true to its title! I’ve greatly enjoyed so many of his short stories and I think that fans of this genre will love them, too. To read his short stories, check out Crime Stories and Other Writings published by Library of America, Nightmare Town: Stories and The Big Knockover: Selected Stories. Born in May of 1894, Hammett worked for the Pinkerton Detective Agency from 1914 to 1918 and then again from 1919 to 1921. He served in WWI in the Motor Ambulance Corps and in WWII in the Aleutian Islands as an Army Sargeant editing the Army’s newspaper. During his service in WWI, he contracted tuberculosis. Hammett was a political activist and a confessed Marxist. He was a staunch anti-fascist yet was a member of Keep America Out of the War (apparently a subcommittee of the League of American Writers). However, immediately after Pearl Harbor, he used his influence to gain enlistment and serve in the Army. Contemporary Authors had this to say about Hammett’s entanglement with the prosecutors of the Red Scare: “In April of 1953, Hammett was called to testify before the Senate Permanent Subcommittee on Investigations of the Committee on Government Operations, chaired by Joseph McCarthy. His testimony before that committee is often quoted. Asked by McCarthy if he would ‘purchase the works of some seventy-five Communist authors and distribute their works throughout the world,’ Hammett replied, ‘If I were fighting communism, I don’t think I would do it by giving people any books at all.’” Clearly, Hammett was a complex man. But back to his literary works… After the publication of The Thin Man, Hammett stopped writing. Some have speculated that this was because of his disillusionment with Hollywood. Others feel that he wanted to resume writing after WWII but the political blacklisting and Congressional issues defeated him. I’ve read all of his novels and now most of his short stories. His novels were, in a word, captivating. As many, including Raymond Chandler, have noted, Hammett was an innovator in his writing and his style. He led the movement of change in detective fiction and has left us with a penetrating and overall timeless look into people, politics, and motives. I highly recommend a journey into the world of Dashiell Hammett. My most beloved fictional character lives at 32 Windsor Gardens in London. He originally came from Darkest Peru, but after a perilous ocean journey as a stowaway, he landed in London at Paddington Station and found his new family, the Browns. He is, of course, Paddington Bear. I fell in love with Paddington some years ago, and I’m happy to say that when I began to read the books again as an adult, I loved them just as much as (and maybe even more than) I did when I was a child. Paddington’s adventures keep me giggling, smiling, and sometimes even on the edge of my seat with worry. Contrary to much of popular culture today, I also appreciate the politeness of Paddington’s world. He is a gentleman bear who is polite, curious, and helpful, and he always means well. The world that he engages with can sometimes be unfriendly but it is never vulgar. Paddington has a strong sense of right and wrong. He loves a good bargain. He loves to have his morning Elevenses of buns and hot cocoa with his good friend Mr. Gruber who often counsels Paddington, takes him on trips, and lends him books. In addition to buns, Paddington absolutely loves marmalade. He keeps an emergency sandwich under his hat at all times, which sounds like an excellent idea to me! Paddington lives with Mr. and Mrs. Brown, their children Jonathan and Judy, and their housekeeper Mrs. Bird. Another frequent character in the book is the unfriendly neighbor, Mr. Curry, who curtly calls Paddiington simply “bear” and is always trying to get Paddington in trouble. This is in sharp contrast to the educated and polite Mr. Gruber who respectfully addresses Paddington as Mr. Brown. A Bear Called Paddington, the first Paddington book, was published on October 13, 1958. Since that time, the Paddington series has been translated into more than 30 languages and more than 30 million copies of the books have sold worldwide. I hope you or a young reader in your life will open up one and come to know my favorite bear, Mr. Paddington Brown of 32 Windsor Gardens. He is a most enchanting fellow. A Bear Called Paddington (1958): This is our introduction to Paddington, Mr. and Mrs. Brown, Jonathan and Judy, the housekeeper Mrs. Bird, the neighbor Mr. Curry, and good friend Mr. Gruber. Who can forget the bacon tucked into his suitcase to eat later? More About Paddington (1959): The adventures continue in the second Paddington book that includes Paddington as a detective! Paddington Abroad (1961): The family goes to France for the summer and includes Paddington competing in the Tour de France! Paddington On Top (1974): Paddington heads off to school and has many adventures and mishaps. Paddington Takes to TV (1974): This book was originally published under the title Paddington’s Blue Peter Storybook. Blue Peter was a popular British children’s television show at the time of publication. This book centers around Paddington’s participation on the television show. Paddington’s Storybook (1974): This is a collection of some of Paddington’s most beloved adventures from the books published to date. Paddington On Stage (1977): Calling all actors and actresses! This book is a collection of plays adapted from Paddington’s stories. Paddington Takes the Test (1979): Paddington takes a driving test! Watch out!! Ann Marie is the Library Director at OWL. She treasures the simple joys of life. Throughout the year, the OWL blog enlightens, entertains and informs. We now average about 65 readers each and every day! That’s about 24,000 views of our blog each year. We started the OWL Blog back in February of 2007 and have posted 277 blogs since its inception. I am the only blog writer that has written since the beginning and without interruption, but I am thrilled to report about two founders who are now back to blog writing. In December, Jesse returned to writing blogs. Welcome back Jesse! And, beginning in February of 2013, another blog founder Patricia Horan Moore will be back to write more blogs! I hope you enjoyed our blogs this year as much as I did. I look forward to what everyone has to write about in 2013.